Discussion How do I exclude some domains to let traffic pass through uninspected? How do I exclude some domains to let traffic pass through uninspected? 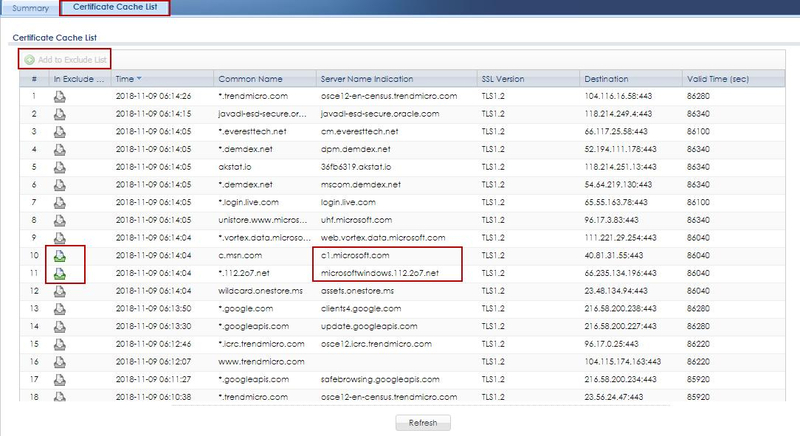 You can configure an exclusion list to exclude matching sessions to destination servers. This traffic is not intercepted and is passed through uninspected. Here is another simple way to add exclude list. 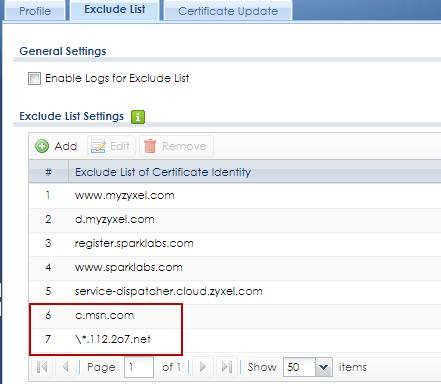 You can also go to Monitor > UTM Statistics > SSL Inspection > Certificate Cache List, select an item and then click Add to Exclude List to automatically add an entry for existing SSL traffic to a destination server. The item will then appear on the Exclude List.